The Kurtz Corner: Sponsor Spotlight & Giveaway! Today I have the pleasure of introducing you to one of my wonderful blog sponsors, Little Becky Homecky! If you haven't visited this wonderful blog you are missing out indeed! 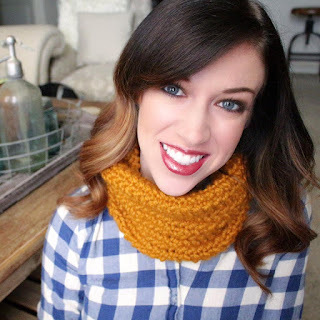 Katie, yes, here name is Kaite, not Becky, and she hosts a cute little blog where she shares tons of sewing and crocheting projects and tutorials! Once a week Katie also hosts two different link parties. At her first link party, Mom's Monday Mingle, you can come meet other mommy bloggers and link up your blog for others to visit and follow! Her second link party, Fantabulous Friday, gives you an opportunity to come link up any of your projects and check out features from the previous party! Moral of the story? It's party central over here at Little Becky Homecky!! Now, I wanted to give Katie and opportunity to tell us more about herself in her own words! Check out her response to some questions I asked her. I just learned how to crochet and sew in 2011, and I had posted some of the projects on my personal Facebook page and had such great feedback from my friends and family. I had always read blogs, in fact, if it wasn't for the blogs out there, I never would have learned to sew or crochet! I wanted to have my own little place in the world to share my creations and hopefully inspire someone else to learn. What are your favorite projects to blog about? To say I crochet a lot is an understatement;) I really enjoy it! Sewing projects are always so fun as well, but I think crocheting is where my heart is right now. My absolute favorite thing about blogging is the feedback. I know it sounds very vain, but when you put something out there that you worked really hard on and someone else comments on it and likes it just as much as you do, that has to be the best feeling in the world!! What is the best advice you could offer a new blogger? Since I have only been blogging for 7 months now, I feel as though I am definitely still a new blogger….but what has worked really well for me is link parties and networking. The link parties allow me to put my projects and creations out there for the world to see on other blogs where their followers may not have known about me. I link up to quite a few link parties throughout the week and the traffic I get from them is always amazing! Networking is also great. Don’t be afraid to put yourself out there! I have met some amazing women through networking and had I not mustered up the courage to contact them, we wouldn't be as close as we are today!! You are your biggest cheerleader so go for it! I hope you have enjoyed meeting Katie and that you will stop by an visit her today!! As a parting gift for stopping by, Katie wanted to give you a chance to win a $25 gift card from Target! Katie currently lives in Germany so she really misses Target and wants others to enjoy it since she can't, isn't that sweet! The winner will be announced next Friday, good luck!